1/4" - 20 x 1" threaded stem. Don't just guess or eye ball the thread size. Yours maybe different or metric. If you are not sure, please check the thread size at your local hardware store. Don't just buy it and claim it doesn't fit. Making sure will save you time, money and hassle. Oajen 2" caster with 1/4" - 20 x 1", pack of 4. 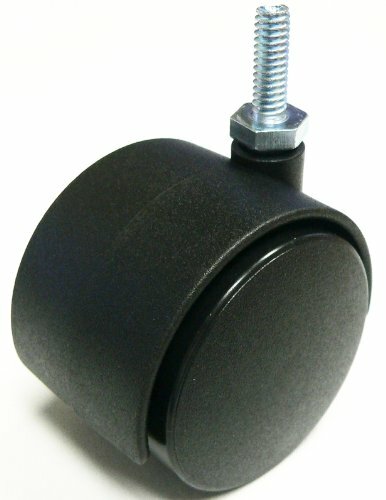 90 lbs rating per caster. If you have any questions about this product by Oajen, contact us by completing and submitting the form below. If you are looking for a specif part number, please include it with your message.